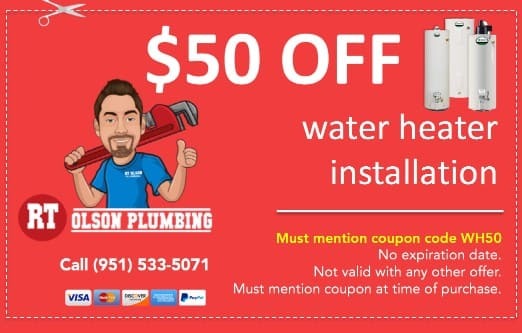 Get a FREE Plumbing Estimate! Over 150 Five-Star Customer Reviews! 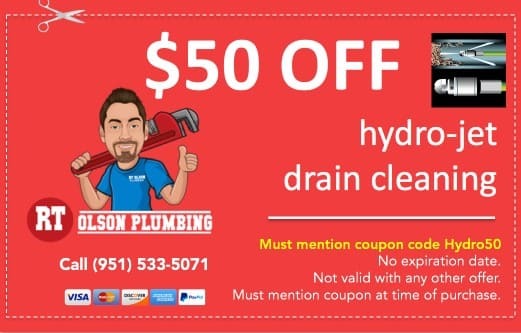 Need a Plumber in the Riverside Area? If you need an experienced, reliable, and affordable plumber, you’ve come to the right place. Bob Olson is a 4th generation plumber. 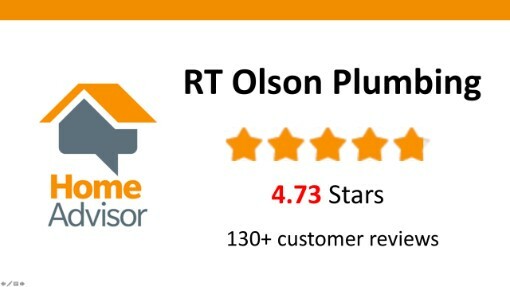 Over 150 customers have rated us a five-star plumbing company. We earned it by taking care of our customers and providing fast, friendly, and reliable service at an affordable price to our customers. From clogged sink drains to broken water mains, we can tackle any plumbing job. 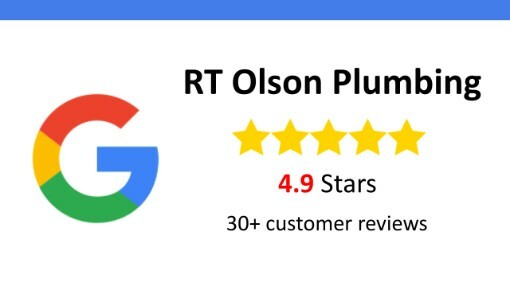 RT Olson Plumbing has the materials and specialized equipment to repair and install the latest appliances and fixtures. 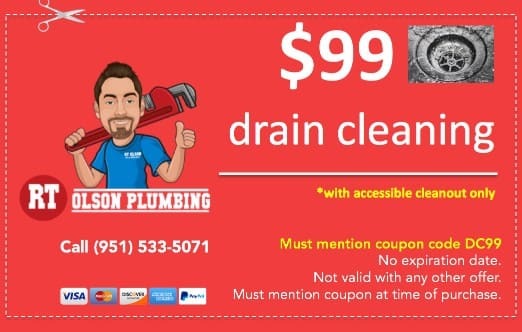 We can clear every kind of clogged drain. Sinks, toilets, showers, and tubs. Hydro-jet for tough sewer and landscape drains. Foundation leak detector. Slab leaks, water mains, sewer pipes, etc. We locate & repair every kind of water or sewer leak. Water heater repairs & installations. Standard tank and tankless. Gas, electric, and propane heaters. Repair and installation of tankless water heaters. Enjoy an endless supply of hot water for less. Sink and shower faucet repair, replacement, and installation. Toilet repair, replacement, and installation. 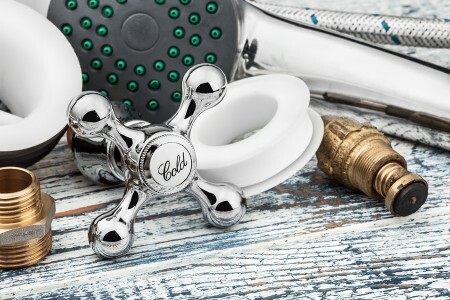 We fix and replace toilets, bathtubs & showers. Stop hard-water mineral rust from breaking down your appliances. Enjoy clean drinking water! 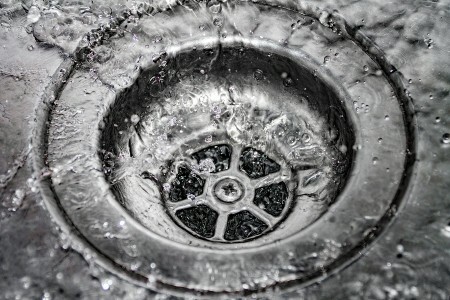 Repair, replace, and installation of garbage disposals. Flood and water damage restoration services. Owner-operator Bob Olson is a 4th generation plumbing contractor and has over 16 years experience in all aspects of plumbing. We’re licensed, bonded, and insured, CA license #997337. 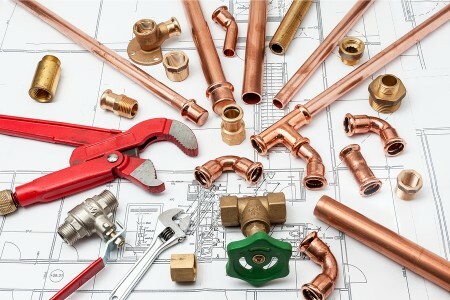 We provide residential plumbing service in Riverside, Corona, Norco, and Eastvale CA. 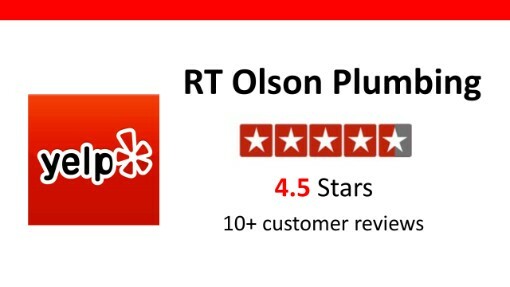 If you’re having plumbing problems, we’ve got plumbing in our genes, and our 150+ five-star customer reviews prove we get the job done right the first time, with a smile, and at an affordable price. We solve plumbing problems and create happy customers. Reputation – ask friends and family, check online reviews in Home Advisor, Yelp, and Google. Do they have references you can call? Be sure prospective contractors have lots of customer reviews on several platforms. If you see a bad review, be sure to take notice of how the business responded. Communication – how easy is it to connect to a real person at the company? Do they respond quickly to messages? How’s the mojo when you talk with them? What’s your gut tell you? Project Profiles – ask to see photos and case studies of previous work and provide refernces if your job is big. Do they have any before and after photos for jobs like yours? What’s the cost? Are they charging a flat fee for the job or an hourly rate, or hourly plus parts, etc.? You need to know. The best deal may be a flat rate for the job, that way you know exactly what you’re in for.